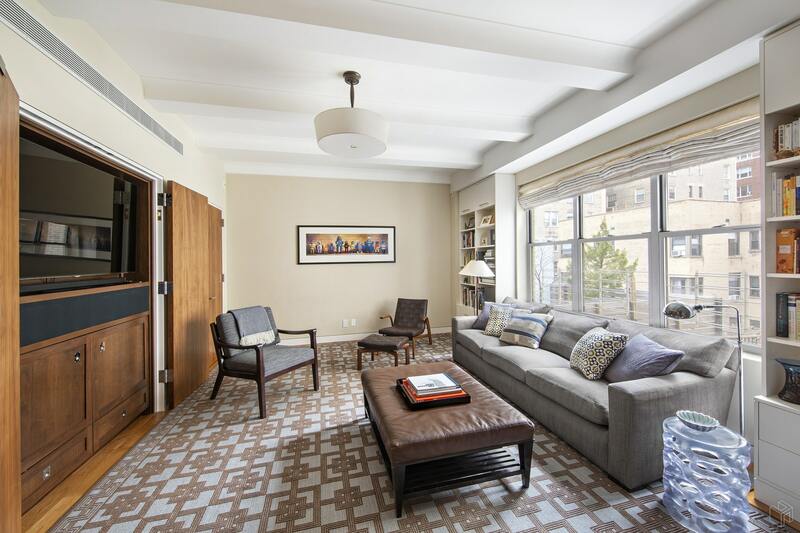 Elegance and sophistication define this four-bedroom, three-bathroom condominium on a picturesque tree-lined block on the Upper West Side. 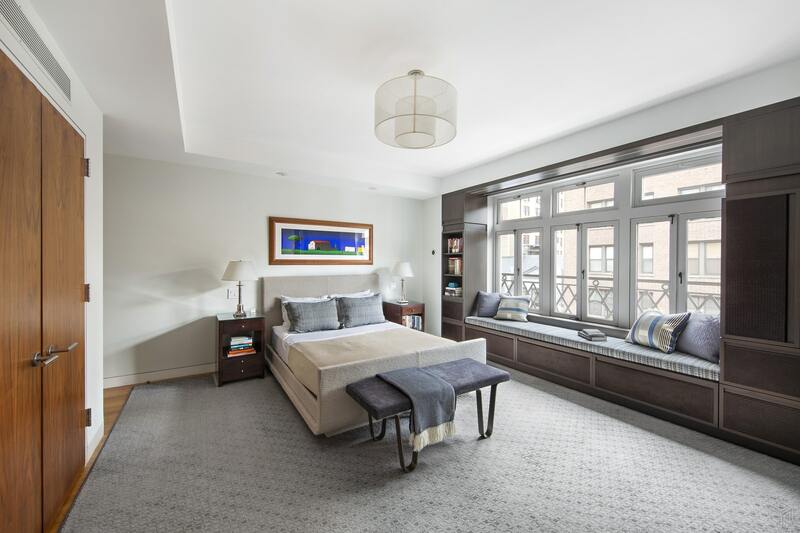 Spanning more than 2,650 square feet, this meticulously-designed apartment shares a semi-private elevator landing and features only the finest materials and finishes throughout. 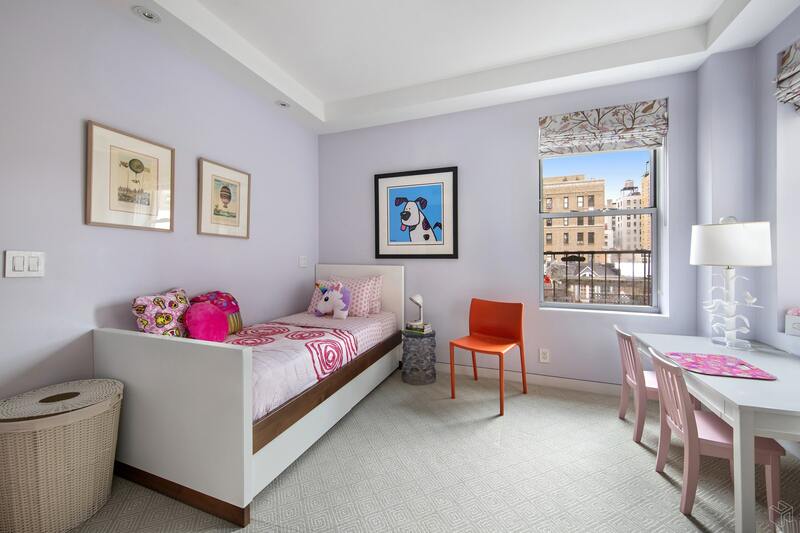 This is a modern gem in a boutique pre-war building with large-scale rooms, high-beamed ceilings, central AC, washer/dryer, soothing natural light and four exposures. 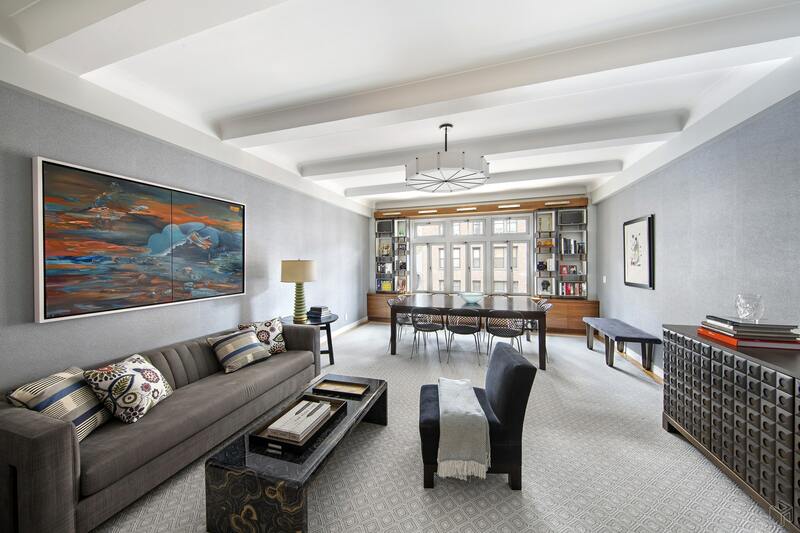 Off of a grand foyer, the over-sized living room faces south and is anchored by masterfully-designed built-in bookshelves surrounding a large picture window. A formal dining room is currently configured as a den with over-sized closets, custom cabinetry and an integrated media center. Removed from other living quarters, the master suite is bathed in southern light and includes extra-large custom closets, as well as built-in millwork with integrated storage and window seat. 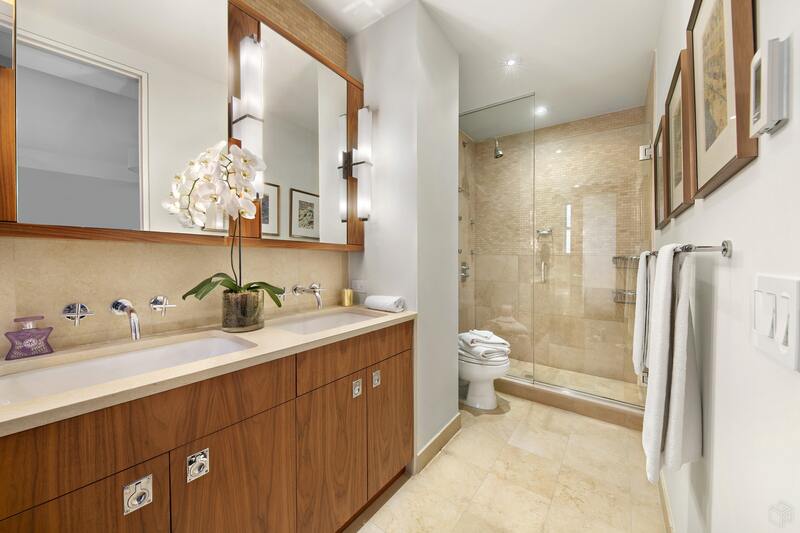 An en-suite, spa-like marble bathroom features a soaking tub, walk-in glass shower and double-sink vanity. 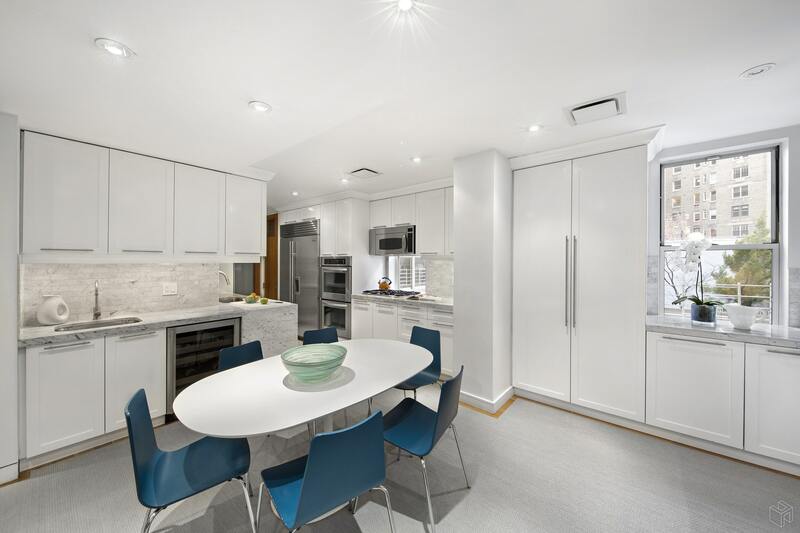 The heart of this stunning home is the centrally-located eat-in-kitchen featuring Carrara marble counters, abundant cabinets and a built-in workspace. A floor-to-ceiling pantry and two walk-in closets provide yet more storage. High-end stainless steel appliances include two dishwashers, two sinks, double ovens, a wine fridge and an oversized Sub-Zero refrigerator. Two light-flooded bedrooms with large closets share a large bathroom in the rear of the apartment. The fourth has a private, en-suite bathroom. 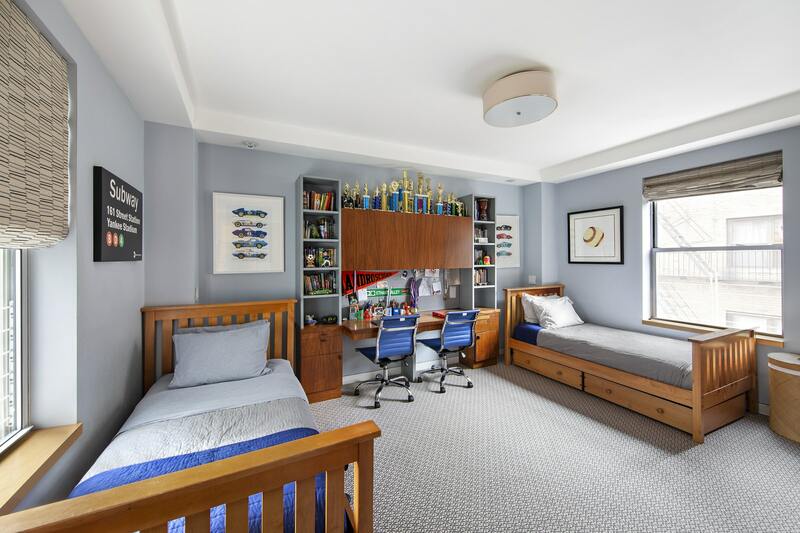 317 West 89th Street is a full-service building boasting an elegant lobby, 24-hour doorman, live-in superintendent, central laundry room, private storage, bike room, fitness room, and a casual, pet-friendly attitude. It is just steps from Riverside Park with its playgrounds, bike and jogging paths, dog runs, and many outdoor activities. The neighborhood enjoys convenient access to the West Side Highway, express subway, crosstown bus, parking garages, restaurants, and popular retail destinations. This is the one you've been waiting for. Schedule a private appointment today.